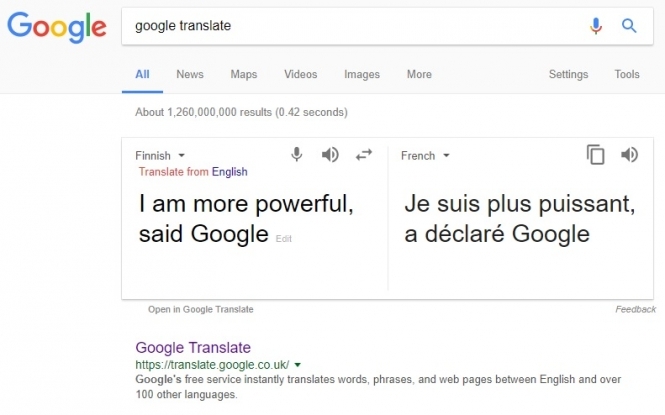 A European company has launched a language translation service that is claimed to be “three times’ more powerful” than Google Translate. DeepL, from existing translation website Linguee.com, has been launched online based on the principle of "deep learning" - or artificial thought by computers. This is the same technology that powers advancements such as driverless cars or home assistants such as the Amazon Alexa Echo Dot. Although it currently only handles seven languages - French, English, German, Italian, Polish, Dutch and Spanish - DeepL can allegedly learn and improve its language the more it is used, and is based on a learning network created by the University of Montreal. 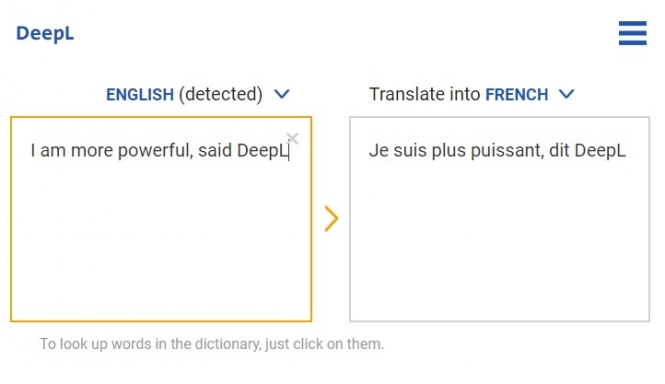 Journalists at French newspaper Le Monde recently put DeepL to the test, comparing it to other translation services available through the search engines Google, Bing, Yandex and Baidu. Traditional poetry, technical documents, newspaper articles, first-person writing, and a report on a sports match, were each compared between the different languages, to test the capabilities of the services. Although they admitted that their tests were “far from exhaustive,” they still concluded that Google was still the far superior service in many ways, especially after the release of its new algorithm last year. However, DeepL showed clear signs of improvement as the tests went on, and was especially adept at translating English to German, but struggled slightly more with translating English to French. DeepL was also better at translating rare words with more nuance, such as those seen in poetry, and a first-person speech, and turns of phrase such as the English words “discuss these issues further”, which Google incorrectly translated in French as “discuter de ces questions plus loin”, rather than the more correct “discuter de ces questions plus en profondeur” returned by DeepL. “The progress [in online translation] is real,” the testers concluded. “But it is always easy to trick an automatic translator, and even when the phrases are correct, the reader can still sense the ‘coldness’ of the machine. “Online translators are still falling far short of the ability of human interpreters,” they said.